Home Kollywood News Janani Iyer joins hands with this comedian! 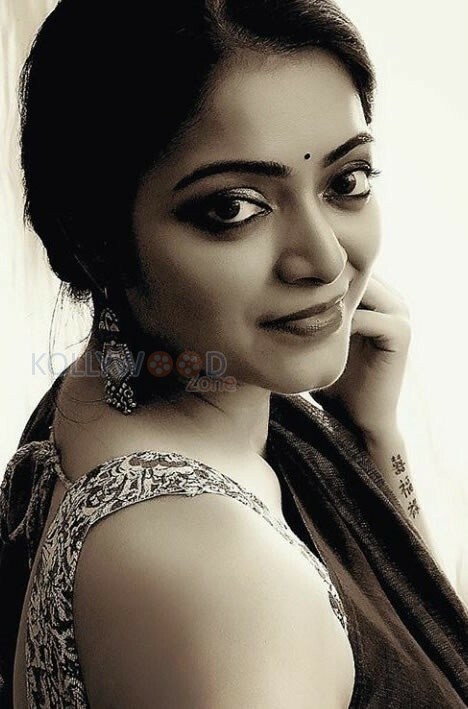 Actress Janani Iyer made her debut in Tamil film industry with the movie ‘Avan Ivan’, which was directed by National award winning director Bala. She was paired opposite actor Vishal, and following the film, the pretty actress got to act in several films like ‘Thegidi’, ‘Adhe Kangal’, ‘Balloon’, and ‘7th Day’. Janani Iyer also made her debut in Mollywood with the flick ‘3 Dots’, which was a box office dud. With none of the films other than ‘Thegidi’ being a hit, Janani Iyer, who was on a break has come back post her Bigg Boss season 2 appearances, and after bagging the role of female lead in an upcoming untitled thriller movie co-starring her ‘Thegidi’ co-star Ashok Selvan, now she has bagged another interesting film. Janani Iyer is all set to play a special cameo role in comedian Yogi Babu’s upcoming comedy film ‘Dharma Prabhu’, which is all about what happens when Yama tries to help a pair in earth. Janani Iyer is said to play the role of the daughter of a politician played by actor Azhagam Perumal, and aids the proceedings of the flick. On the technical front, Janani Iyer is busy acting in another Tamil film named ‘Ugramm’.